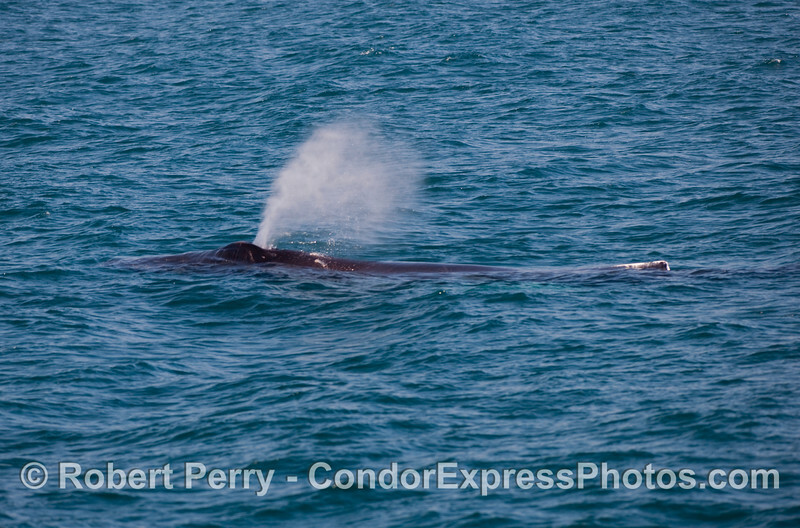 Today the krill was not on the surface, but the cetaceans were still very plentiful. 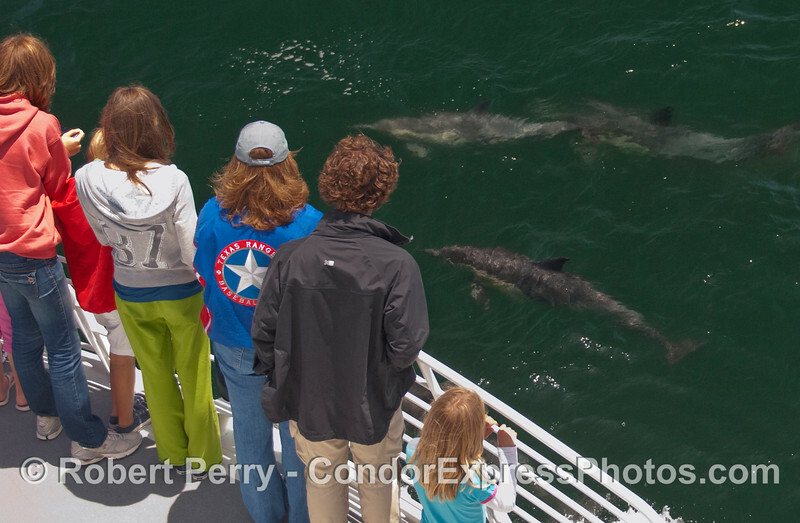 Dozens of Humpback Whales, several Blue Whales, a lone Minke, and a nice pod of Common Dolphins helped make the day. 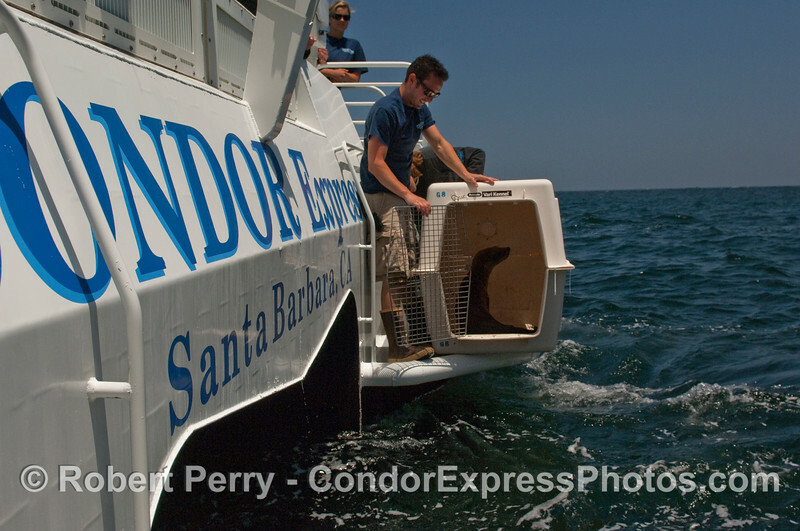 Volunteers from CIMWI (Channel Islands Marine and Wildlife Institute) also released 2 rehabilitated California Sea Lions back into the pinniped infested waters of Santa Cruz Island. Another great day on the Channel! 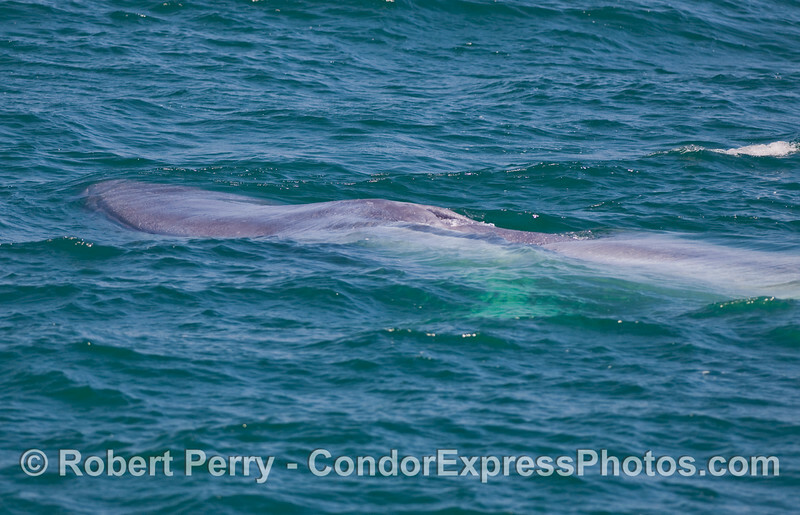 Beefy tail stock and flukes of a giant Blue Whale (Balaenoptera musculus) as it begins a deeper dive. 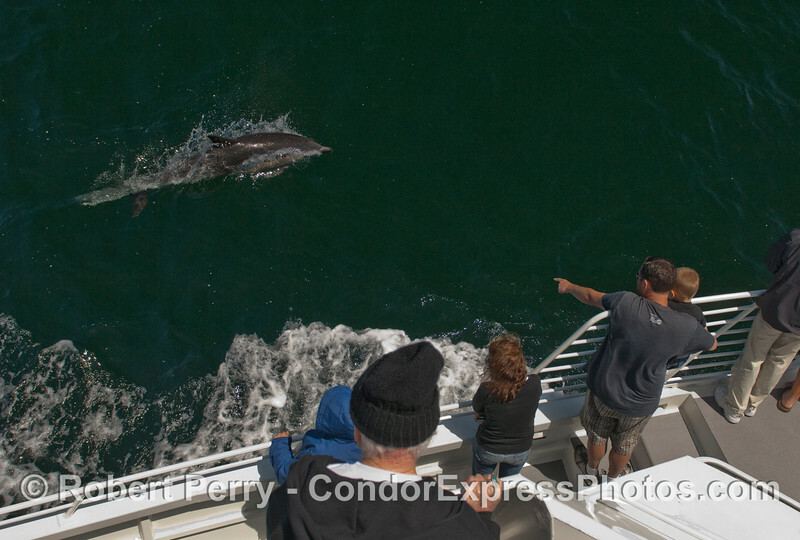 A father shows his son a fast moving Common Dolphin (Delphinus capensis). The individualistic under side of a Humpback Whale's tail flukes (Megaptera novaengliae). Scientists use this kind of photo to keep track of each whale in the population. 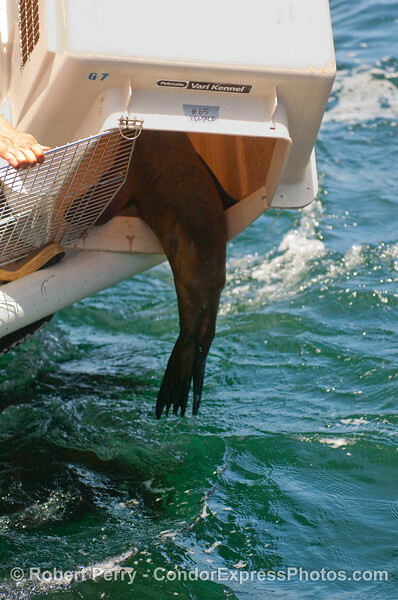 Captain Jacques Manoux and CIMWI staff try to coax a young California Sea Lion (Zalophus californianus) out of its cage. This rehabilitated animal is being released back into the wild, but is reluctant to leave its temporary cozy home and all those free meals. 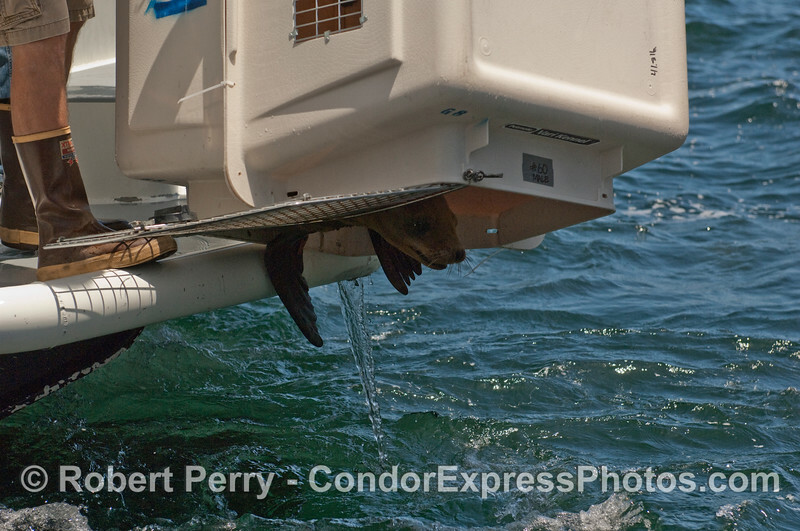 A young California Sea Lion (Zalophus californianus) takes a moment to get its bearings after being released back into the wild after rehabilitation. 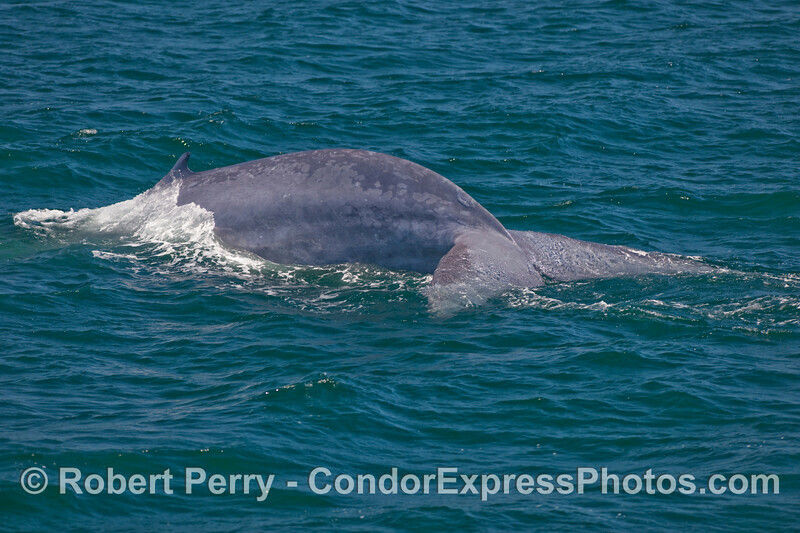 Head of a Blue Whale (Balaenoptera musculus) underwater. 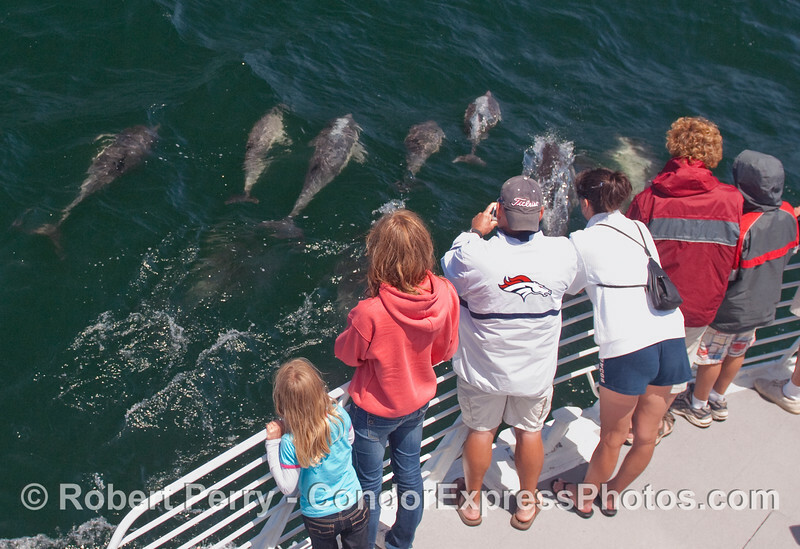 A pod of Common Dolphins (Delphinus capensis) ride the bow of the Condor Express. 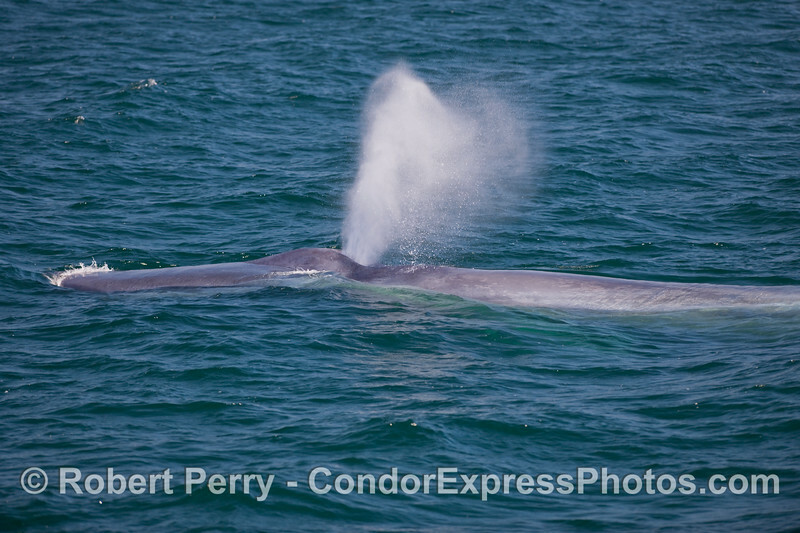 Tail fluke "waterfall" - Blue Whale (Balaenoptera musculus). 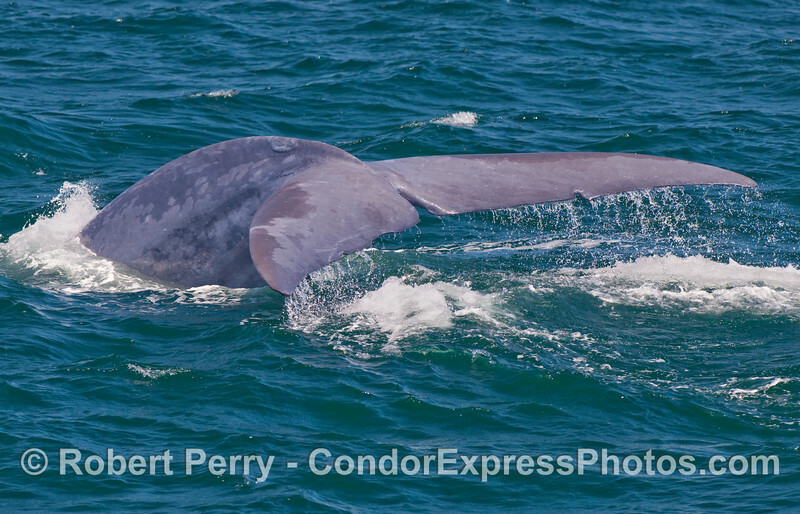 Side view of the head and spout of a Blue Whale (Balaenoptera musculus). Head and whiskers (vibrissae) of a young California Sea Lion (Zalophus californianus) poke out of the transport container to take a sniff of the Pacific Ocean. 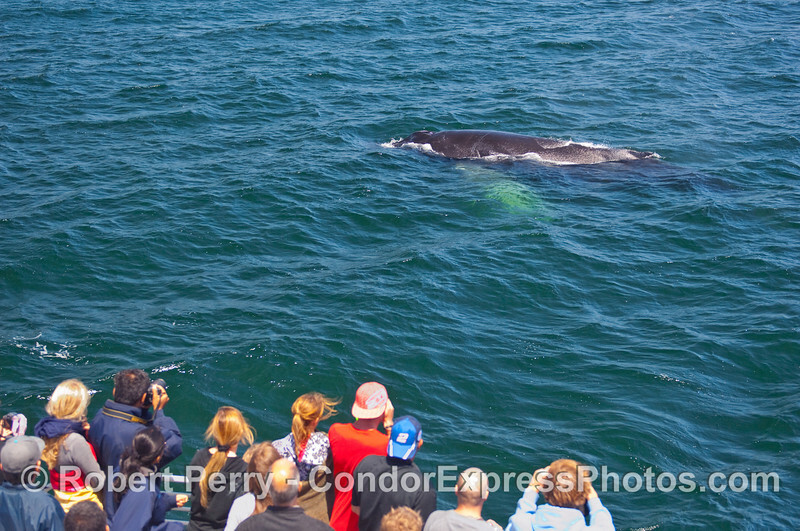 Glowing pectoral fins can be seen as this friendly Humpback Whale (Megaptera novaengliae) pays a visit to the whalers on board the Condor Express. 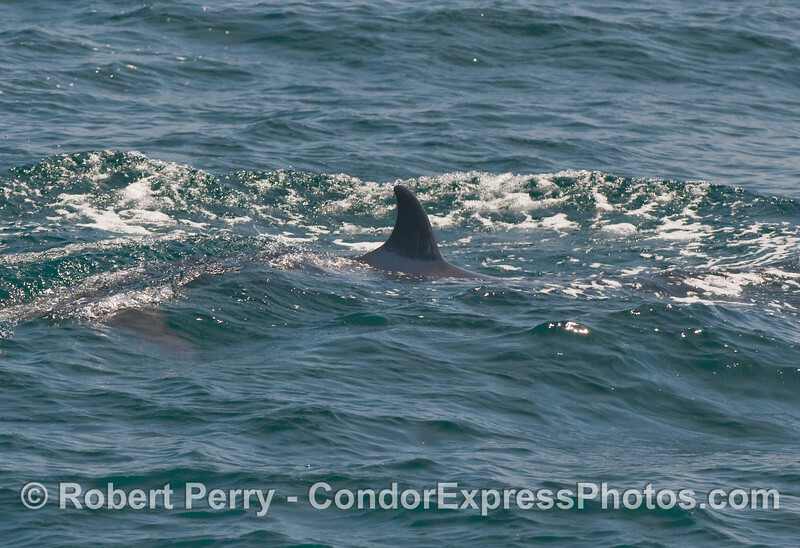 Whalers on the Condor Express get a couple of curious Common Dolphin (Delphinus capensis) visitors. 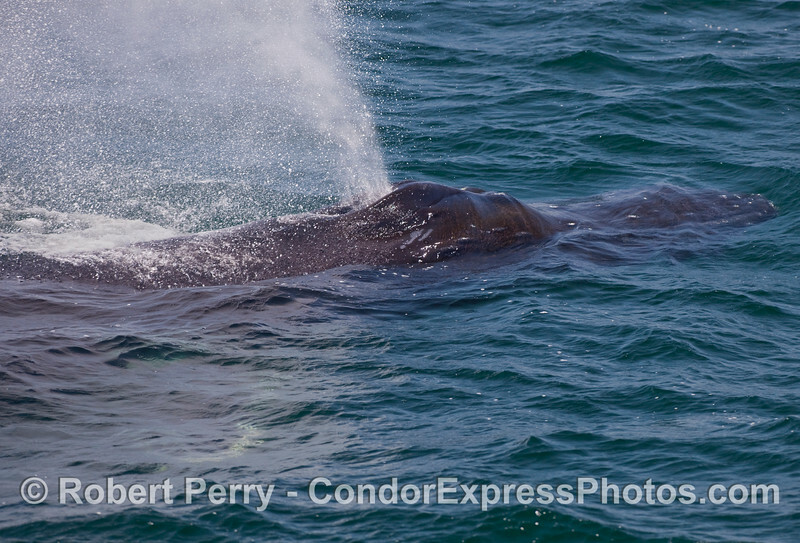 Close view of the spout and head of a Humpback Whale (Megaptera novaengliae). 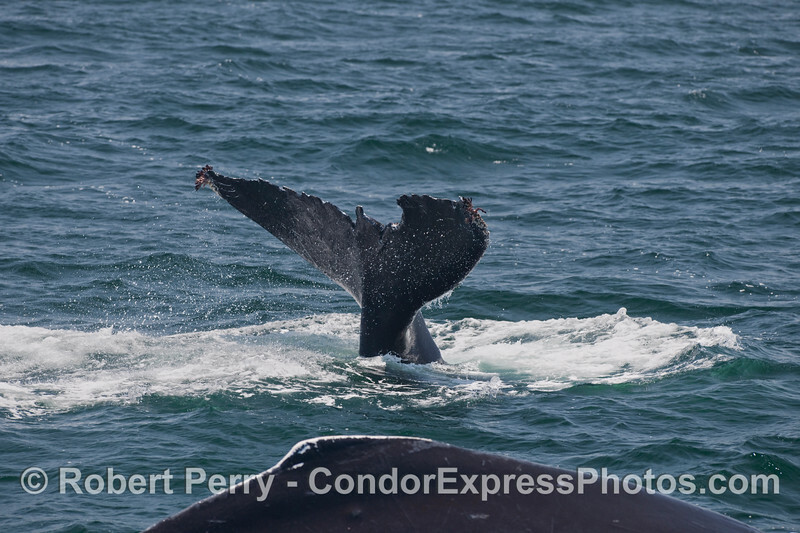 Two Humpback Whales (Megaptera novaengliae), a dorsal "hump" and a rather chewed-up tail fluke. 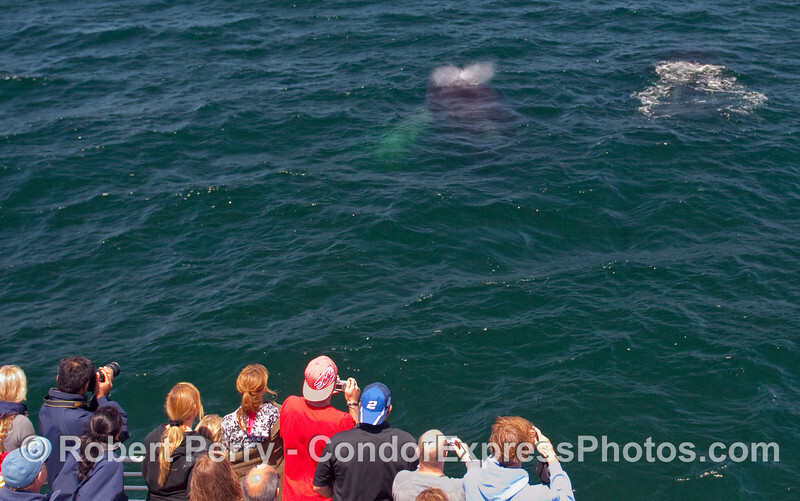 A view looking from tail towards the head as a Humpback Whale (Megaptera novaengliae) arches its back. Waterfall scene - a Humpback Whale (Megaptera novaengliae) tail kicks up as it begins a deeper dive. 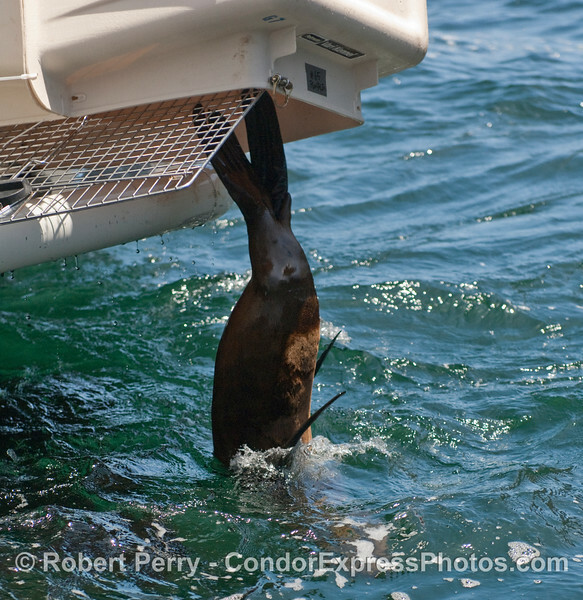 A rehab'd California Sea Lion (Zalophus californianus) finally takes the plunge back into the calm seas off Santa Cruz Island. 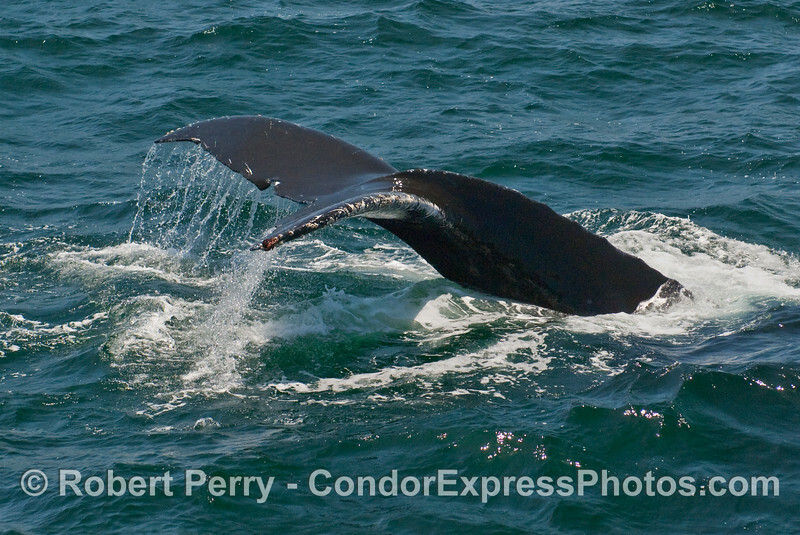 From head to dorsal fin - a Humpback Whale (Megaptera novaengliae). 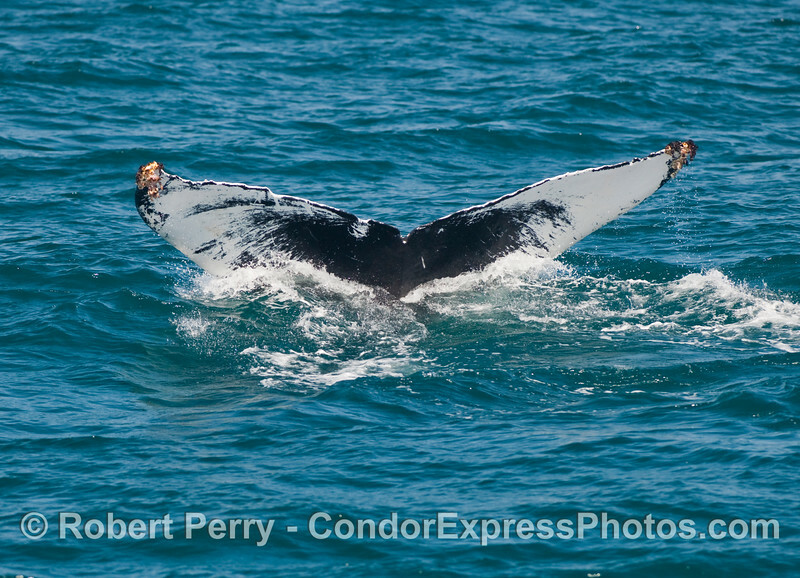 Another Humpback Whale (Megaptera novaengliae) tail fluke waterfall. 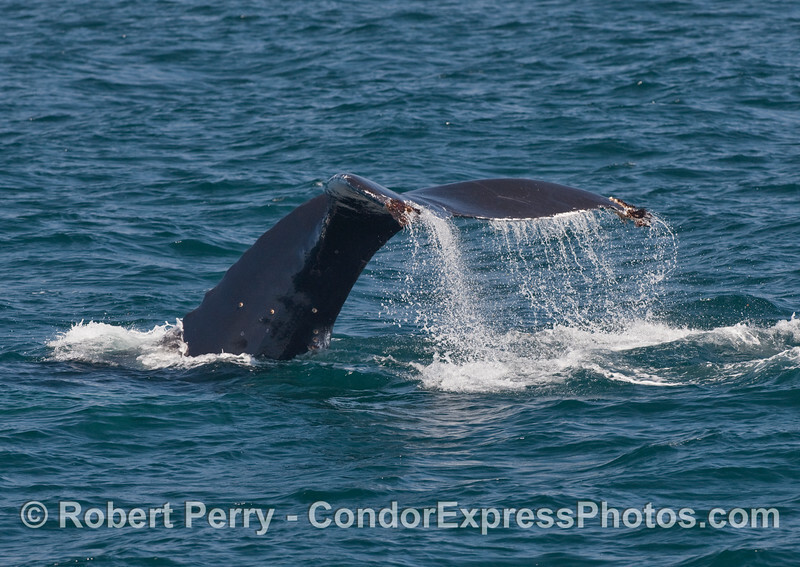 Two Humpback Whales (Megaptera novaengliae) pop up very close to the whalers on board the Condor Express. 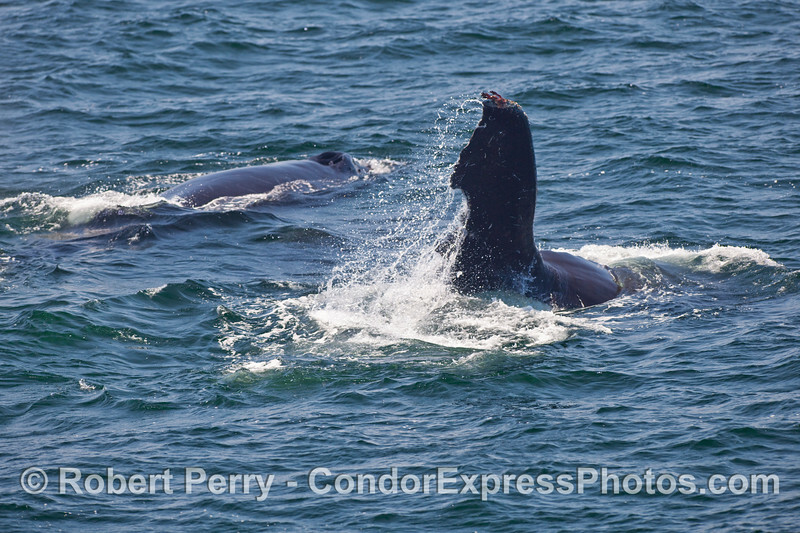 Two Humpback Whales (Megaptera novaengliae). 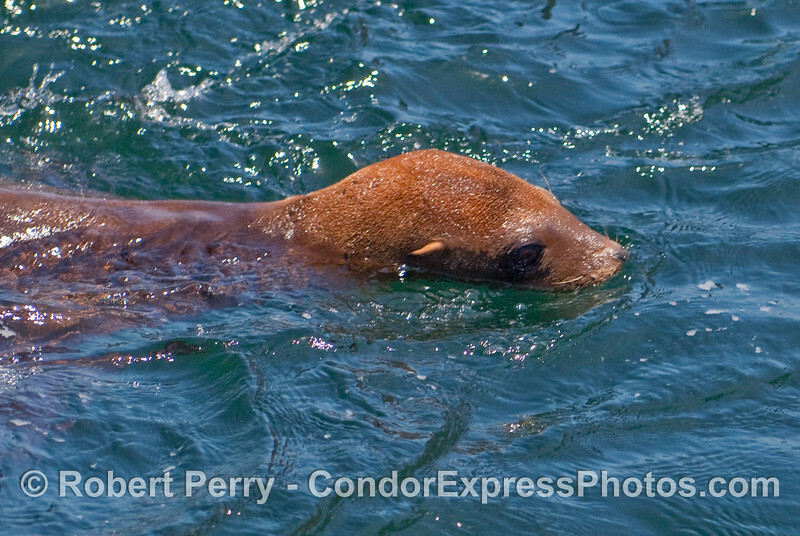 A close up look at a young California Sea Lion (Zalophus californianus) pup as it swims around the Condor Express. A curious botanical piece of information. Most of the plants in the ocean are "algae," not the flowering plants that dominate the terrestrial environment. However, here in southern California, we do have two species of flowering plants that have evolved to live in the ocean from whence their ancestors originated. 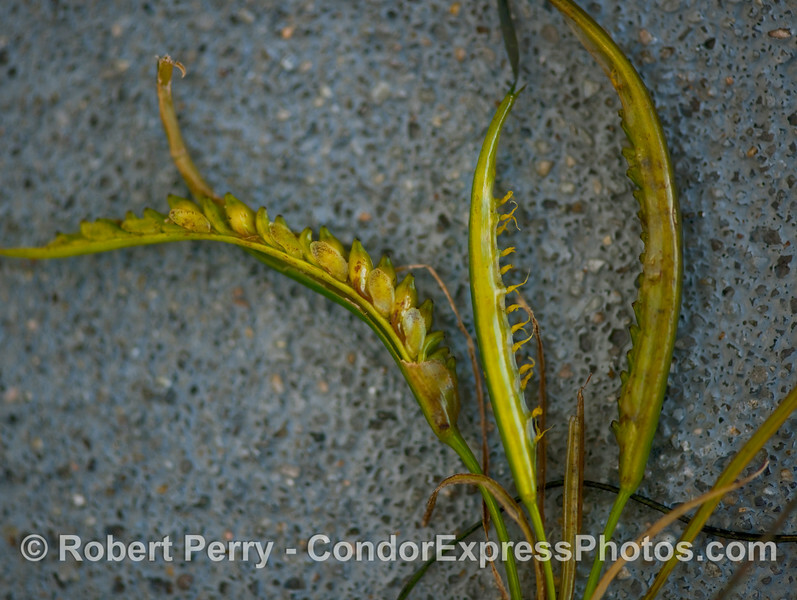 This species is called Surf Grass (Phyllospadix torreyi), and it produces its flowers, seen here in close up, during the summer. This piece was found floating in Santa Barbara Harbor. 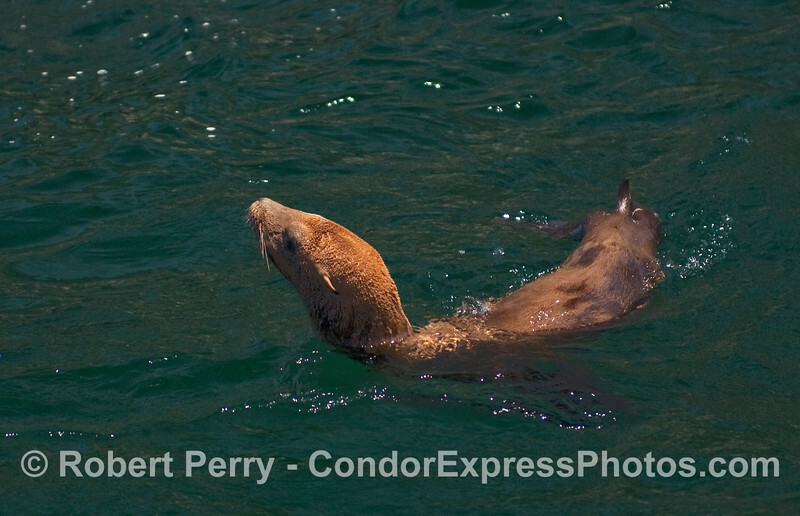 California Sea Lion (Zalophus californianus) continues to resist its return to the wild. No! Let me back in my cage! I don't want to go into that big Pacific Ocean! 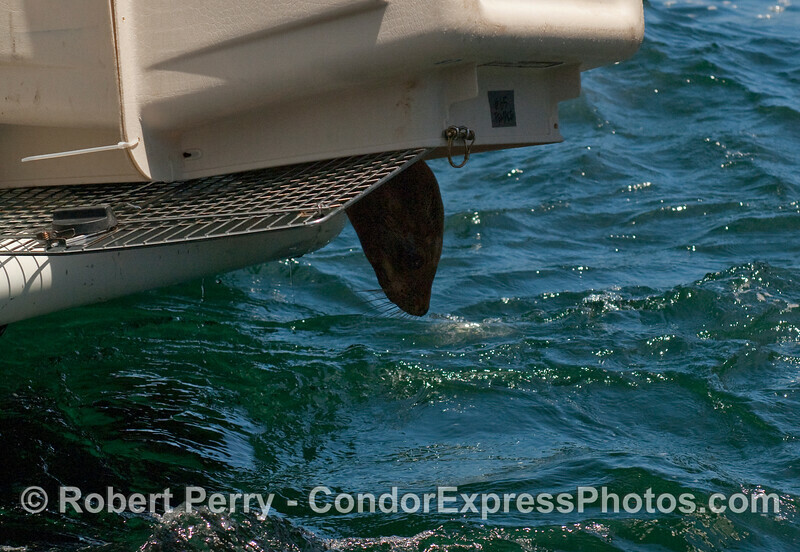 A California Sea Lion (Zalophus californianus) hind flippers dangle out of its cage as it scrambles back inside. [My apologies for all this anthropomorphic talk]. This was it. 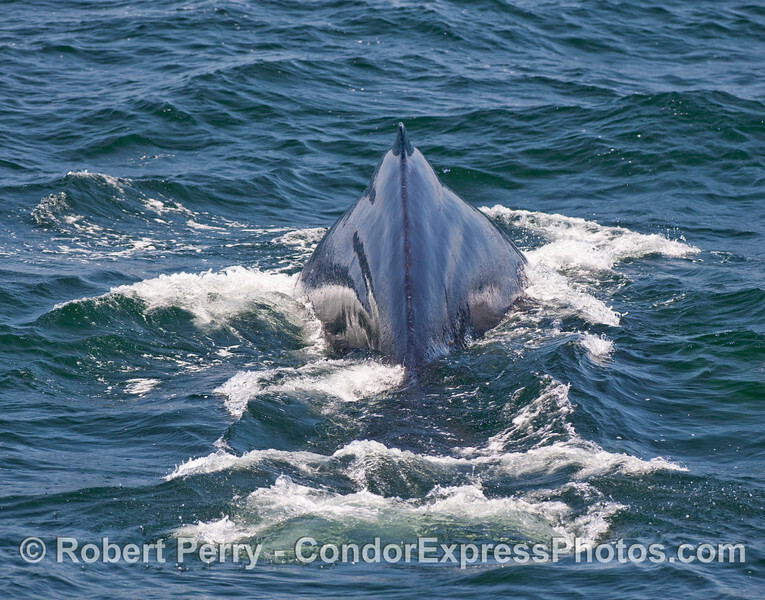 Our fleeting view of the smallest of all baleen whales, the Minke Whale (Balaenoptera acutorostrata).